Are you worried about how robust and healthy your business and its interactions with the firms that supply the goods and services? 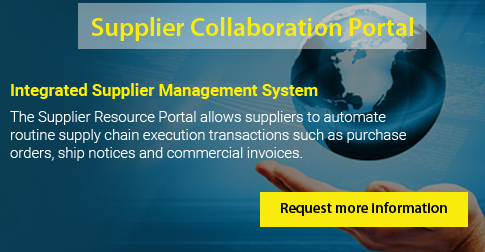 We bring you the right solutions for all your supplier management related operations and issues. The solution we provide you, concentrate on only three aspects of your vendor management. Whatever you do in the system in-house, it is all about supplier relationship management. As the prime customer, it is all in your hand to manage your vendors who provide inputs, intermediary products, and other ancillary services. We bring you a software embedded with supply chain management best practices. Harrington’s Supplies Management Software offers your enterprise a complete lifecycle approach to manage supplier base, monitoring and tracking them from the date of registration, and assessing provider’s performance. What benefits you derive from our solution? Above all, our Supplies Management Software lifts your competitive advantage in the industry by bringing down production cost and hence, the price of your product, but not compromising the quality. Our solution will consolidate all supplier data and activities in a fully secured, searchable database accessible across your firm. Also, it helps you to maintain and manage supplier contact information, report audit results, performance ratings, standard certifications, and vendor contracts. Our Supplies Management Software will be the ultimate trendsetter of your supply chain and its automatic notifications of records of supplier nonconformances (NCRs) along with its ability to implement and track corrective actions (CARs) enhances total supply chain performance of your enterprise. Eliminating risk across your supply chain is our core goal and for that purpose, we have provided you inbuilt applications in the solution that will show Key Performance Indexes (KPIs) of your suppliers based on which you can take an informed decision about the vendor management. While reducing supply chain risk and possible disruptions, Supplies Management Software we offer to boost your overall efficiency levels at every stage of the production process by lowering costs, improving decision making and communication among internal business units and also with external suppliers. If you are ready enough, you can exploit total savings derived from our supplier management software for innovations of your product and improving service quality. More importantly, you can comply with ISO standard requirements and compliance related to vendor management. has advanced analytical tools to assess all the supplier data statistically to make informed decisions.